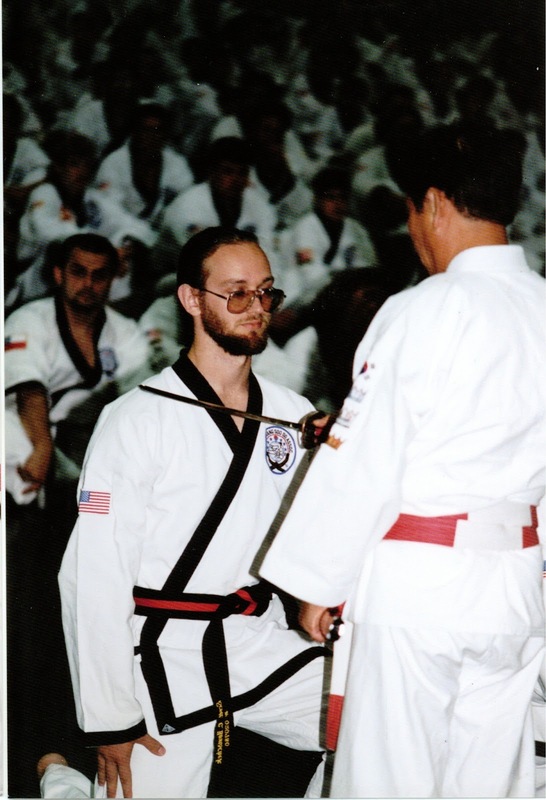 “Ego is the killer of Black Belts.” I have heard Grand Master Shin say this many times over the last 20+ years. This statement is true on many different levels; both inside and outside the martial arts. Ego says my style (studio, instructor, forms, etc…) is better than yours. This small-minded view of the world has two distinct downsides both of which should be equally appalling to you. The first downside deals with the affront that such an attitude brings to others who are trying to share their knowledge. If your ego is so big as to find no value in the thoughts and ideas of others then you should not be surprised when you find yourself alone. No one should wish to be in the company of another who is not willing to engage in an intelligent exchange of ideas. Check to see that your attitude is not causing a gulf to form between yourself and others. Downside number two is simply the lack of opportunity you present yourself when your ego over shadows the ideas of others. If your ego is so big to say that mine is the only correct way then you are closing yourself off to the opportunity to experience other views. The difference between the above items is subtle but significant. One leads to a lack of learning by pushing away others; thereby eliminating the opportunity to expand your horizons due to lack of intelligent dialogue. The other is to discredit opportunities that present themselves before you have taken the opportunity to understand them, simply because you feel they are inferior to your ideas. In either case the end result is the same. An ego that is allowed to roam unchecked will ultimately lead to a lack of learning. I personally feel remorse for the person who knows everything for they can no longer experience the joy of discovery. Keep an open mind. Be receptive to new ideas and new perspectives. This does not mean to take the new idea as gospel – rather to honestly listen to and evaluate the new idea on its own merits. Then decide for yourself whether it is relevant to bring into your repertoire of understanding. As with most elements of our philosophical foundation, this particular Attitude Requirement of the “14 Attitude Requirements to Master Tang Soo Do” can be applied at many different levels. On the surface this may seem contradictory to our ideals of humility; however, further investigation will reveal the exact opposite. Humility is the spirit of putting others needs before your owns; as well as, not boasting of the successes that you have achieved. With that stated it is still important to establish a process by which we review where we have started, and what we have accomplished to date. Following this process will help us to identify goals and plans to take us forward. While it is important for us to frequently review what we have accomplished to this point, we need to be cautious that we do not become trapped fixating on past glories, only to let future accomplishments/opportunities slip through our fingers. You should give yourself credit for a job well done, while at the same time looking at all the elements that were involved in the success. This should include your involvement as well as the assistance that you received from others. When you are giving yourself credit for a job well done; be sure also to give credit to those who helped you achieve that goal. While you are reflecting on the task that has been accomplished you should also be evaluating the process by which you achieved your goal and ask the question “Is there a better way I could have achieved this goal?” We all have challenges that we must overcome. Every one of us will choose a different path to achieve these goals. Be sure that you evaluate whether or not you accomplished your goal by the most efficient means possible. Excellence and Success will breed future Excellence and Success, but only if we critically evaluate the mechanisms by which we achieve our goals. Take time to inspect that which you have accomplished. Give credit to all who were involved in helping you to achieve that goal. Ask yourself “Was there a better way for me to have succeeded?” With this information in hand, set new goals, tackle new challenges, and be sure to help others as they set out to achieve the goals which they have set. 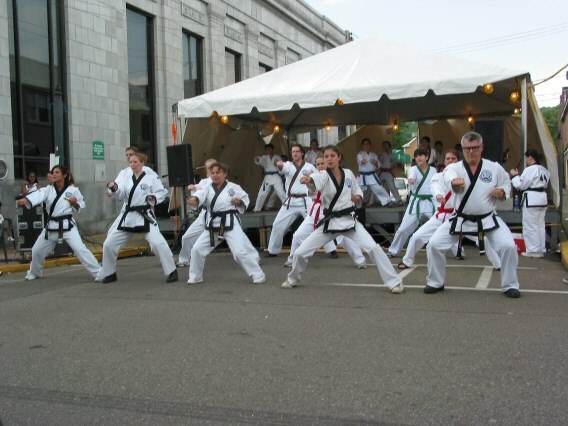 The art of Tang Soo Do teaches us to constantly focus on self-improvement and development. This concept is as true of individuals as it is of organizations. I have been looking at the successes our studio has had, I am truly thankful for the contributions of the students and Black Belts who have made all this possible. Together with the Leadership Team we are setting new goals, and making preparations for a fantastic new year. Originally published at www.rvtsda.com December 2002. Starting shortly after our birth we begin to make choices. We quickly progress from which toy to play with, to which clothes will I wear today, to should I watch TV or do my homework, should I take the highway or the back roads, should I stay with my current job or move on to a new one, should I get married or keep looking, are we ready to have children, do I picked up and move my family when my job wants me to relocate, do I seek to avoid the bully or do I stand my ground and refuse to be pushed around. Choices can be simple or complex. All choices entail a give and take. Choosing one option leads towards certain results and away from others. Often making one choice will open up opportunities to make additional choices while at the same time taking away other opportunities. Choices can also be categorized by how a decision was made. Was the decision made on impulse and gut instinct? Was it a quick decision based on years of experience? Was it a well thought out decision where the pros and cons of each option were carefully measured and the best option selected? Were you paralyzed by indecision and someone or something else made the decision for you? Did you consciously choose not to make a choice and thereby make the choice that was not presented? The nature of our training teaches us to deal with the stress of making decisions. In sparring often times those decisions are split second decisions with measurable consequences. As we progress in our training we become more adept at making decisions, this being a prerequisite of leadership. A good leader not only makes decisions, they predominantly make the best decision given the options available. A good leader makes impassive decisions. They remove emotion from the decisions they need to make. For emotion will often lead to rash decisions and rash decisions often lead to unexpected consequences. Even in the face of greatest adversity a true martial artist does not panic for panic means yielding control to others. Look to the leaders that you know and see. Look at the leaders who are at the forefront of the public eye and look at the ones closest to you. Look at the people who need to make decisions, easy and tough, on a daily basis. Do they do so in a panic or are they calm and collected, do their decisions lead to benefits for just themselves or do others benefit more than the decision maker? Do they respond to unexpected information, good or bad, with great swings of emotion? Or are they calm and level headed? Ultimately we all make choices every day. The question is what type of choices do you make? Do the results of your choices lead to more panicked choices or do others often seek you out for help in making their choices because they see your ability to make intelligent choices. 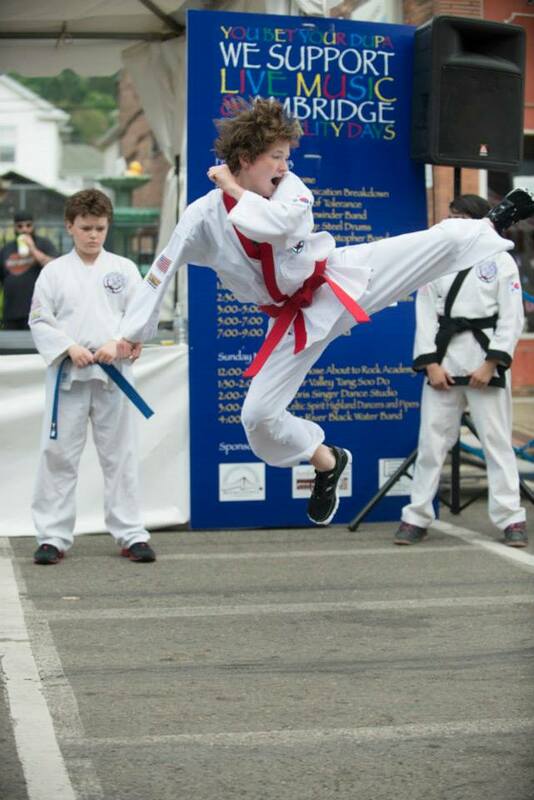 In Tang Soo Do we develop ourselves to be the later. Choosing to study Tang Soo Do is a first step in choosing to become a good decision maker. 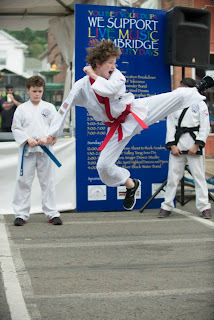 Tang Soo Do people are different. Some would take a statement like that as an insult. I take it as a badge of honor. We are different. People in today’s society seem more and more focused on what others can do for them and less on what they can do for themselves. Simply stated as a society we are getting soft. While you are in class learning, practicing, sweating where are your friends, co-workers and neighbors? How many of them are involved in an activity that truly develops their mind, body & spirit? While others are sitting on the sideline watching, we are getting stronger. 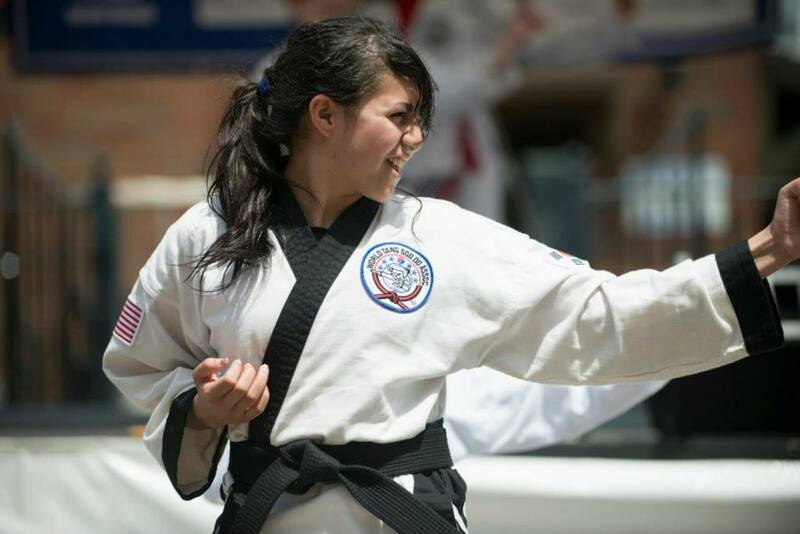 Tang Soo Do teaches that only hard work on the part of the student will result in excellence. A teacher can only bring about greatness in their students if the student puts forth the effort necessary to achieve the greatness they desire. Greatness lies not in the desire for greatness, but in the desire to work to achieve greatness. Every person has the ability to excel; few have the internal fortitude necessary to push themselves to excellence. Look at your daily activities, how much time do you spend on personal development? Most people spend more time watching television (hours per day) then they spend on making themselves stronger. I encourage you to turn off the TV and spend the that time working to improve your life. Read a book, spend time with your family, start a garden, work on your home, practice your Tang Soo Do. You will find that self-development is contagious. Starting is the hardest part. Newton’s Laws are at work (an object at rest wants to stay at rest, an object in motion wants to stay in motion). Once you start it becomes easier. After you start on the path of self-development, others will start to say that you are “different”. Share your secret and invite them to join you on a “different” path. It has been a long time since I have written essays / blogs for my studio and students. Before I start with fresh material I wanted to revisit some of the essays I had published in the past. 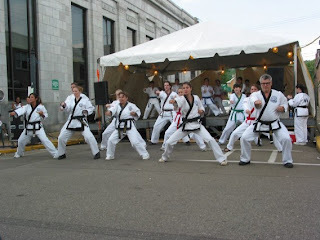 Most of these essays appeared on River Valley Tang Soo Do Academy's website www.rvtsda.com. After rereading some of the archived works I decided that they should be republished. They are just as relevant today as they were when I originally wrote them. As a final note thank you to all my past instructors, mentors and teachers. Without their patience and insight I would not be were I am today.